Chanteur Country US né le 21 Avril 1977 à Burleson (Texas). 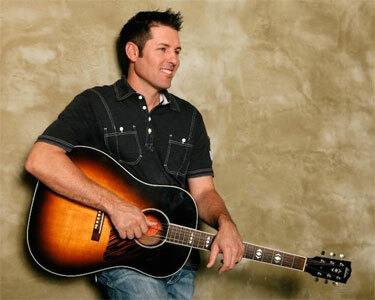 Quick to mention the Rolling Stones, Rob Thomas, and Garth Brooks as influences, Casey Donahew started out as a favorite on the Texas bar circuit, and thoes years of steady gigging paid off on a national level in 2009 when one of his self-released albums cracked the country Top 30 album chart in Billboard magazine. Born and raised in Burleson, Texas, in the Dallas-Fort Worth area, Donahew started playing local bars in 2002. His live show would evolve into a Springsteen-like event for Texas' younger bar crowd, maintaining a high energy level throughout an extra-long set, a set that would be broken up with playful diversions like country-rock covers of "Ice Ice Baby" or 50 Cent's "In da Club." Pam Minick, from Texas' famed club Billy Bob's, took notice, and when she hired Donahew for a headlining spot, the college-age crowd came with him. This demographic was a perfect fit for the singer's indie "Donahew-It-Yourself" attitude, and when he released the album Lost Days in 2005, he sold as many albums on the Internet as he did at shows. Mentioning all his favorite places in Fort Worth, a track from the album called "Stockyards" would become the theme for the city's Brahmas hockey franchise. With guitarist Brent Wall, bass player Steve Stone, and drummer Taz now acting as his band, his 2006 release would be simply titled The Casey Donahew Band. The rowdy live album Live-Raw-Real, In the Ville followed in 2008, and a year later, with many of his sales coming from digital download services, he broke into the Billboard charts with his album Moving On, which topped out at 28 on the Country Albums survey. Continuing with his strategy of focusing on his Texas/Oklahoma fan base and delivering a modest but steady promotional push, Donahew's star continued to rise, as 2011's Double-Wide Dream went to number ten on the Country Albums charts (and 32 on the Top 200 albums listing). 2013's StandOff rose even higher, becoming a number seven country hit. Donahew's following grew from a regional phenomenon to a nationwide success, and he expanded his touring circuit deeper into the south and west. For his 2016 album, All Night Party, Donahew brought in an outside producer for the first time, with Josh Leo (best known for his work with Alabama, Love and Theft, and the Nitty Gritty Dirt Band) guiding the sessions.